The Great British public have named The Kardashians and Jeremy Clarkson in their top three ultimate nightmare neighbours. The stars of Keeping up with the Kardashians topped a poll conducted to celebrate the launch of Bad Neighbours 2 on Blu-ray, DVD and Digital HD, with a fifth of all those taking the survey confirming the Kardashians would be their worst nightmare as neighbours. Pop star Justin Bieber polled a close second, with 17.2% of Brits voting him the ultimate nightmare neighbour. 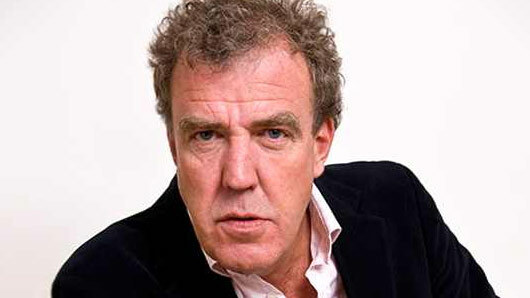 Jeremy Clarkson rounded out the top three with 11.9% of the vote, which may have something to do with the petrolhead’s lack of concern for the environment and his infamous penchant for politically incorrect statements and actions. Despite the glamorous lifestyles associated with celebrities, nearly half (40%) of the 2000 adults polled said that living next to celebrities would be a “nightmare” in general. The survey also found the top ten irritating habits of bad neighbours, which may be bad news for telly fans who like the cinema experience – 6% of respondents said neighbours watching films or TV with the volume turned up were among the worst of the worst. Surprisingly, this was a higher proportion than those who complained about constantly crying babies (5.8%) or neighbourhood spying (4.1%). Other grievances included dogs barking through the night (14.4%), nicking parking spaces (13.9%) and holding loud parties (9.7%). Bad Neighbours 2 is the sequel to acclaimed comedy Bad Neighbours, and stars Seth Rogen and Rose Byrne as a young couple who resort to desperate measures to keep the peace in their neighbourhood after a noisy sorority moves in next door. Bad Neighbours 2 is available on to Blu-ray, DVD and Digital HD from today.